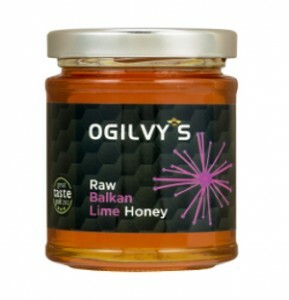 A delicious recipe for Shrove Tuesday – try it with Ogilvy’s Raw Balkan Lime Honey. Place the flour in a mixing bowl or large jug (easier to pour into the frying pan), add the eggs and beat with a whisk. Gradually add the milk a little at a time and beat until you have a smooth batter. Add the orange rind, a pinch of salt and a tablespoon of honey and beat into the mixture. 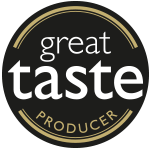 Add the ingredients for the sauce to a small saucepan and bring to the boil, turn down the heat and cook for about 10 minutes until the mixture has reduced and is syrupy. Allow to cool a little before serving. Heat the butter in a frying pan, pour off any excess and keep for the next pancake. Add some of the mixture and cook over a medium heat, turning so each side is golden. Keep warm in the oven while you repeat the pancake process.